Tested reviews made by passionate, professional webmasters. Wix is a pure drag-and-drop website builder with excellent features and designs. Wix has improved significantly in the past years – with changes to the App Market, the addition of templates and WixADI, which were well received by customers. FREE branded website for life. The best website creator with simple user experience and setup. As low as $4.50 per month. Site123 features an advanced predesign layouts website maker that ticks many of the boxes for novice webmasters. With easy to use templates and great support, it is a great service to choose from. 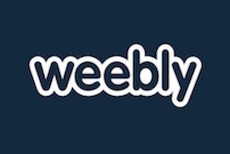 The prevalent opinion about Weebly is that this is a very easy and ‘fun’ builder to use. With both weak and strong sides of this site creator, it is recommended mostly for novice webmasters. Best for an all-in-one website solution. As low as $8.00 per month. SiteBuilder features an advanced drag-and-drop website maker that ticks many of the boxes for novice webmasters. The addition of 100’s of templates, free hosting, and great supports adds up to a great service to choose from. As low as $4.60 per month. BigCommerce is aimed at individuals with little-to-no tech or design skills who want to create a beautiful online store quickly and cheaply without sacrificing any of the features used by the largest online shopping portals. Includes a generous 15-day trial. Best for anyone looking for an easy eCommerce solution. As low as $29.95 per month. There are literally hundreds of options available to help you create a website or simply host an existing one. Instead of sorting through them on your own, we made it easy to determine exactly which provider would work best for you. Once you determine which service is best for you, easily navigate through the signup process with the in-depth guides, which ensure that you don’t make any missteps along the way. Building an amazing website of your own used to require an acute knowledge of coding and graphic design. No longer! These guides will teach you how to make one today by following simple steps that help you along the way. Thousands of people already built the website of their dreams every using our detailed guides and references. We have created the ultimate resource on everything from making your own logo to building an online store. We know the best site builders for any purpose including blogging, eCommerce, business sites, and portfolios. We find the best web hosts which can save you time and money while providing you with the highest standard of service and performance. We provide all of the information on my site for free of charge, enabling you to save hundreds of dollars you might pour into other resources. We speak directly to the biggest names in website design, getting unprecedented access and even deals and discounts for my readers. We am a trusted member of the website-making community and have been featured on countless websites. We’ve tested hundreds of different software and services, so I can assess them based on their own merits and in comparison to one another. We can take you from zero to hero with the trial and error you might be forced to endure on your own. We are easily reachable for all of your questions, comments, and needs at no cost to you. Join a community of over 3,000 passionate webmasters, bloggers and enterpreneurs from around the world.